Don’t confuse friendship with work. Work is work but you need a right team in place so you can scale. For those of us lucky enough to have both, it is an unexpected blessing. 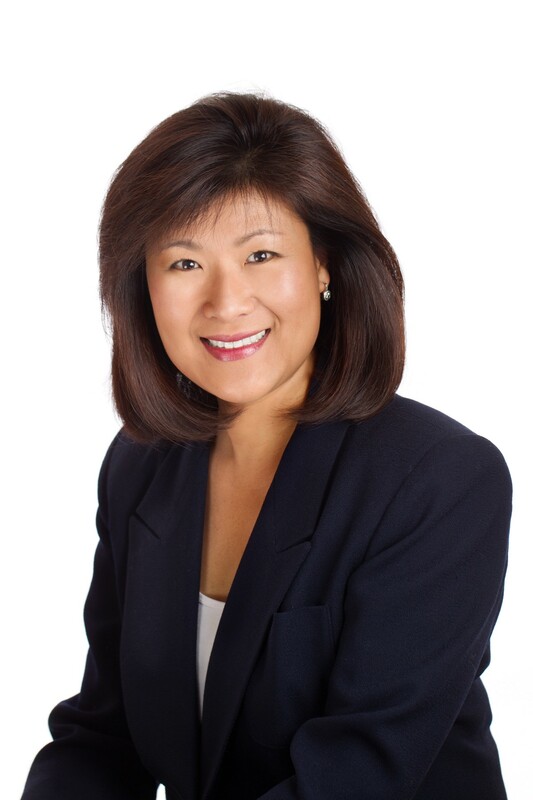 I had the pleasure to interview Ann Sung Ruckstuhl. 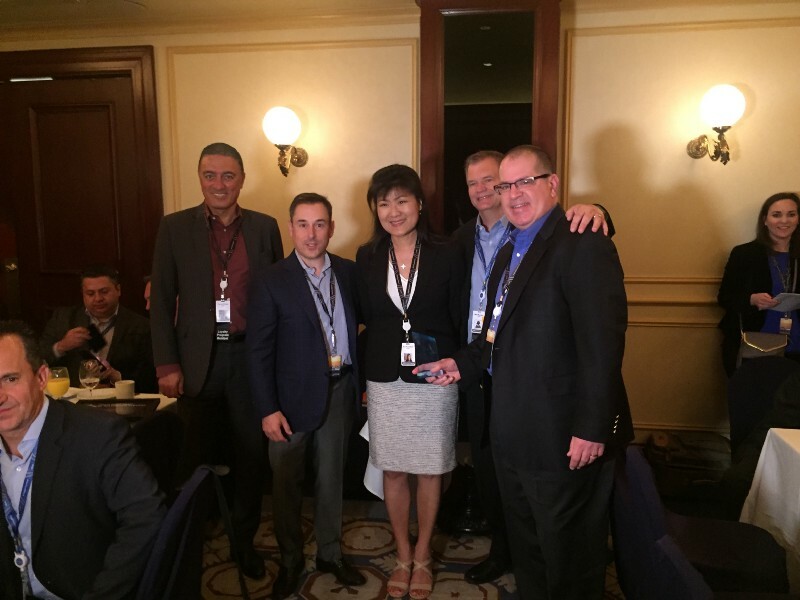 Ann is the CMO of Unisys, a global information technology company. Thank you so much for doing this with us Ann! Can you tell us a story about what brought you to this specific career path? When I was in college and choosing my major, I looked at major trends and tried to figure out what would make the biggest impact. I had always had a love for storytelling, and I knew that I wanted to be in a field that women normally don’t get to do. With the technological revolution in front of me, I landed on electrical engineering, which started me on my winding career path. Throughout the years, I’ve worked at five Fortune 1000 companies and seven startups. I’ve been an engineer, a product manager, an enterprise architect, a strategist, an entrepreneur, a corporate executive and now a CMO. I am constantly looking to feel intellectually stimulated and highly fulfilled within my career, and I’ve always wanted to be a part of a new frontier. I’ve tried to keep that innovation spirit and sense of curiosity alive throughout my career and that has led me down a path of innovation as well as some important life lessons. I always feel blessed to be able to partner with senior leaders, such as Unisys’ Eric Hutto and PV Puvvada, on a daily basis. Here, marketing is aligned as part of our go-to-market strategy, so Marketing and Sales and Services are all working hand-and-hand. We don’t just educate the market, we actually become an integral part of the growth engine. We are a key driver of new business. That’s part of the reason that our client success program was recognized last year with a Gold Award for Marketing Excellence from ITSMA, the leading source for business-to-business (B2B) marketers in the connected economy. At my first start-up, I got too involved. My husband and I were just starting out together, we had two children under the age of two, and I found myself completely invested in the company — literally. Before we got funding, I used my 401K to fund the startup and dug into our joint savings account. Of course, the startup flamed out right before the holidays, and when I told my husband what we had lost, I was completely expecting a negative reaction. Instead, my husband just said, “We’ll consider the money we lost as a part of you getting yet another MBA degree.” And he was right! I learned more from that mistake than I would have by getting another degree. I learned how to forgive and my resolve became even more reinforced. And that experience played a big factor in my second startup becoming a resounding success. I always joke that “no jerk need apply at Unisys.” We have a culture of respect, we follow the Golden Rule. When I first arrived, I used to tease the team because I seriously felt like I was working with a bunch of Eagle Scouts and Girl Scouts. But that’s part of what makes this company great. All-American values are ingrained in the culture at Unisys, and it is something I appreciate more and more, each and every day. Cyber security is something that is always top-of-mind for both consumers and companies. It seems like you can’t go a week without hearing about another major hack, and how it not only impacts consumer information, but also a company’s brand reputation. Security is also a critical piece of Unisys’ value proposition — we like to say that security is built into everything we do. In October, we released the results of the 2018 Unisys Security Index™, which measures consumer attitudes in 13 countries around the world towards personal, financial and cyber security and national safety over the last 11 years. It is the only survey of its kind. This year, we looked at the pressing security concerns around electronic voting systems and biometric technology, and connected the attitudes that consumers have about how those two things relate to sharing personal information with the police, healthcare providers, and financial services organizations. The coverage so far has been simply amazing with over 140 TV and radio broadcast segments and over 450 media articles at end of week one post launch. Globalization in general comes with a lot of vulnerability, but we’re in a unique position where we can track that sentiment and communicate that out to the businesses we serve — educating the market on what their consumers expect from them — and use that to help them bolster their security. We live in a zero-trust world — it’s almost a given today that you will get hacked in some way, shape or form. That’s something that Unisys takes on with a very strong position. Understanding consumer attitudes helps us better serve our clients, which ultimately helps them deliver a more secure product or service that can build trust and help alleviate consumer concerns. Be the best that you can be at what you do. There’s nothing like competency. When you build a team, I always tell people you have three jobs — a manager, a coach and a friend. Some of your friendships will translate from business to personal, but either way, your first responsibility is to lead. There’s a big difference between a manager and a leader. If you are a manager but aren’t leading, you are not about to see the forest from the trees. You need to see the big picture. You need to be open and transparent, as it’s a great way to instill confidence in those around you. At the end of the day, the best ideas can come from anywhere, and it’s important to remember that. I’ve had so many mentors throughout my career that I can’t just name one. Every job, every change in my career, I’ve been able to learn from those around me and become better at my craft. I hope my career has made an impact in a number of positive ways. I would like to think that I’ve had a hand in the growth and emergence of supercomputing, of things like embedded design. I feel like I’ve been fortunate to have a front row seat in helping to advance mobility and e-commerce, peer-to-peer payments and empowering people by placing information right in your hands. 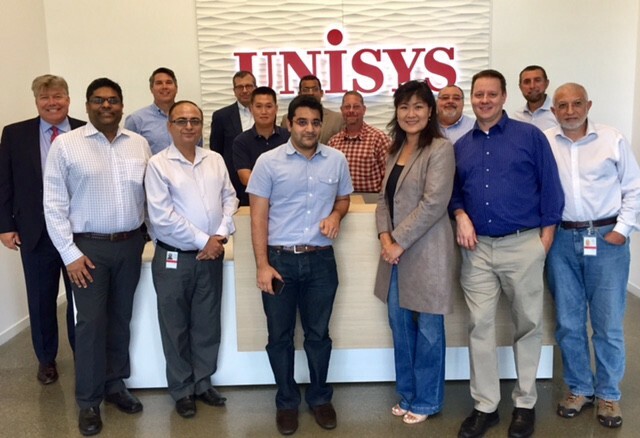 I ended up at Unisys for the right reasons — Unisys ties in all of my favorite aspects of my career into one company, while doing good. A great example of this is the FamilyNow™ Child Portal, a tool for children at risk that enables child welfare workers to better address their needs by more easily communicating and building relationships with them. At the end of the day, we are helping provide technology that can help support children across the country. Surround yourself with a positive infrastructure — mentors, coaches, friends, family or hired help. Whatever it is, find a network that supports you and helps you move forward from the mundane to the sublime, so you can recognize your weaknesses and learn from them. Have a sense of humor. You’re not going to be successful at everything you do. The sun will come up the next day, and as long as you can laugh at yourself and be resilient, then the better off you’ll be. Trust your team but verify their progress. Have a hand in what you create and make sure that the best work is being done. You need to be firm but always willing to help, to show people how to lead. Be open and transparent. That will fuel your confidence and your team’s ability to work and create. Technology should be something that anybody can tap into — I hope that my career has helped with the democratization of technology. If you hear me talk, you’ll notice that sometimes I jump back and forth between a B2B audience versus a B2C, but there’s a reason for this. Sometimes B2C is faster in terms of painting a real-world picture, but B2B is critical to what make things work. As a marketer, it’s our job to demystify it — not just explain the attributes of technology, but teach people how to incorporate it into their business, life and ultimately how to use it in a way that benefits mankind . Marketers at large are on that journey, but we have a ways to go. Instead of a quote, how about the Miley Cyrus song, “The Climb;” that always inspires me. The song itself it very positive in nature, but it essentially boils down to: “Keep on moving, keep the faith, it’s all about the climb.” In essence, aim high and enjoy the journey.